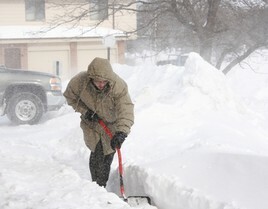 Farmer’s Almanac is predicting below average temperatures for 75 percent of the country. Here are five things owners and landlords can do to get ready and reduce their utility bills ” and they are easier to do now when it is still warm than wait until winter. Caulk and seal all windows and doors. Ensure their is no outside air leaking into the house. Also, add insulation to your attic and crawl spaces. Service your furnace or boiler now. Not when the first cold hits and the HVAC companies are the busiest. Also, many utility customers don’t realize that they have an annual service plan that includes a free annual tune up. Check with your utility company first. Install a programmable thermostat. One of the easiest ways to save by setting back the temperature at times when the home is unoccupied. ControlTemp thermostats can run on a schedule to automatically adjust the temperature through the day and tenants are prevented from disabling the schedule. Check www.energystar.gov for a list of rebates in your area for energy saving products. Some utilities and municipalities are offering great rebates such as in Charlottesville, VA the town will reimburse you up to $100 toward the purchase of a programmable thermostat. David Lowe is a property manager and co-founder of ControlTemp Thermostats, providing tamper-proof programmable thermostats. Check out ControlTempThermostats.com for more information. See our Green Forum for more energy savings tips.